Robert Craig Group earned his B.A. in Physics from Erskine College, his M.S. in Physics from Florida State University, and his Ph.D. in Physics from the University of Florida. He currently serves as an Associate Professor of Physics at the University of Virginia. Dr. Group has served in multiple associations, including being a lifetime member of both the American Physical Society and the Virginia Academy of Science. At the University of Virginia, he has taught a range of classes that give students the knowledge and hands-on experience they will need in their physics careers. Dr. Group has participated in many outreach activities, including “Ask a Scientist,” “Saturday Morning Physics,” and served as a Science Fair Judge for local middle school students. What makes Dr. Group invaluable to both the students and the physics department for the University of Virginia is the important connection he has with incoming students. He teaches the first physics major course in the department that almost all new physics majors must take, allowing him to form connections with the new students from the beginning of their time at the University. For this reason, Dr. Group plays a crucial role in gaining student’s trust and interest for pursuing opportunities in the physics field. His students value the way he encourages everyone to apply for positions and pursue their other interests, which creates a “welcoming environment” for everyone. He is known for bringing his SPS chapter into “new and exciting territory” that gave every student ample opportunities to gain knowledge and experience as physics majors. 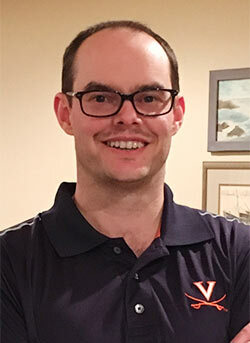 His motivation to contribute to the physics community and the immediate interaction with young physics majors is what has caused Dr. Group to be highly valued as the SPS Advisor for the University of Virginia.